Don’t be left out in the cold this winter, keep up with the latest trends in Patient Recruitment and Retention News! 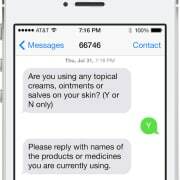 “Bring your own device”, or BYOD, is becoming a new trend in clinical trials. Sponsors, CROs, and investigators are starting to realize the ease and utility that BYOD brings to trial planning and operation. It is familiar, it is simple and straightforward, and it drives patient engagement on multiple fronts. If you try BYOD, pair it with text messaging. The two together allow your patients to be more comfortable with and more engaged in your trial. Thoughtful article details how and why minority populations are being underrepresented in clinical trials and presents several initiatives that show significant promise in bridging this gap thanks to their unique approaches. According to a recent analysis conducted by Tufts Center for the Study of Drug Development, many providers are more than willing to refer their patients to relevant clinical trials, but are hindered by a lack of information and poor communication from sponsors, CROs and sites Building a trusting and positive relationship with physicians and nurses will make it more likely they will recommend your trials to their patients without hesitation. This article suggests a few ways to improve your relationships with providers and make patient referrals easier and more frequent. 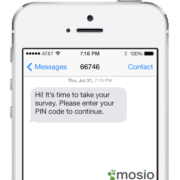 This pilot study looked at how different types of text messages may improve drinking outcomes in those seeking to moderate their alcohol consumption. Investigators found remote automated text messages delivered daily can help adult problem drinkers reduce drinking frequency and quantity significantly more than once-a-week self-tracking messages only. Tailored adaptive texts yielded the largest effect sizes across outcomes compared to self-tracking mobile assessment. Best practices can be examined to help awareness of oncology trials and improve patient recruitment. When examining best practices, the author takes into account aspects such as key stakeholders and the communication method or language used in all stages of the clinical trial. The key stakeholders may need to include a patient’s relative or caregiver, as they may play a role in obtaining a patient’s consent for the clinical trial. Terminology must also be considered when giving information to the patient about the clinical trial to ensure comprehension of the study. 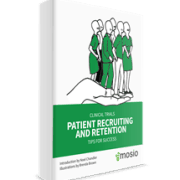 Read on for more details on the best ways to involve patients to optimize recruitment. The Food and Drug Administration seeks novel ways to effectively communicate risks to warn about using tobacco products. 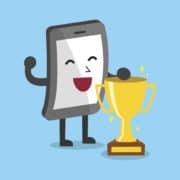 This paper describes the first step in developing a text messaging program delivered by smartphones that manipulate three messaging characteristics to engage young adults. Overall, participants found the messages to be interesting and appropriate. Feedback on the prototype messages was incorporated into message revisions. These findings provided preliminary confirmation that the forthcoming messaging program will be appealing to engage young adults. A retrospective look at the evolution of patient recruitment activities and two major issues yet to be solved: awareness of clinical trials and how to engage with patients. Interest in solving the awareness and engagement issues are high and will result in more patient-centric protocol designs and access to research data. 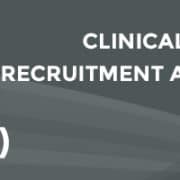 This will, in turn, provide the public access to information and materials about clinical research to explore, read and share with other potential participants who may benefit from clinical trials.